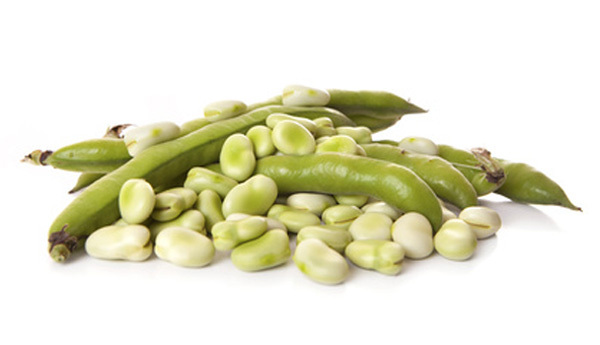 Cook the peas and beans in boiling water for 2 minutes, then drain and refresh under cold water. Set aside. Put the crème fraiche and milk into a pan, large enough to hold all the vegetables and bring to the boil. When it has thickened a little, add the peas, beans and parsley. Season and keep warm. Meanwhile, halve the chestnut mushrooms if using, then fry in a little butter until softened. The chestnut mushrooms will require more cooking than the chanterelles. Add to the pea and beans and serve.